Elastomer Duckbill Check Valves: The world’s most effective check valve for reliable backflow protection for pumping stations, effluent discharge, CSO/SSO systems, storm water discharge, site drainage and flood control. Tideflex Patented Air Diffuser: Revolutionizing aeration system technology design, with inovative new features and proven tideflex check valve technology. 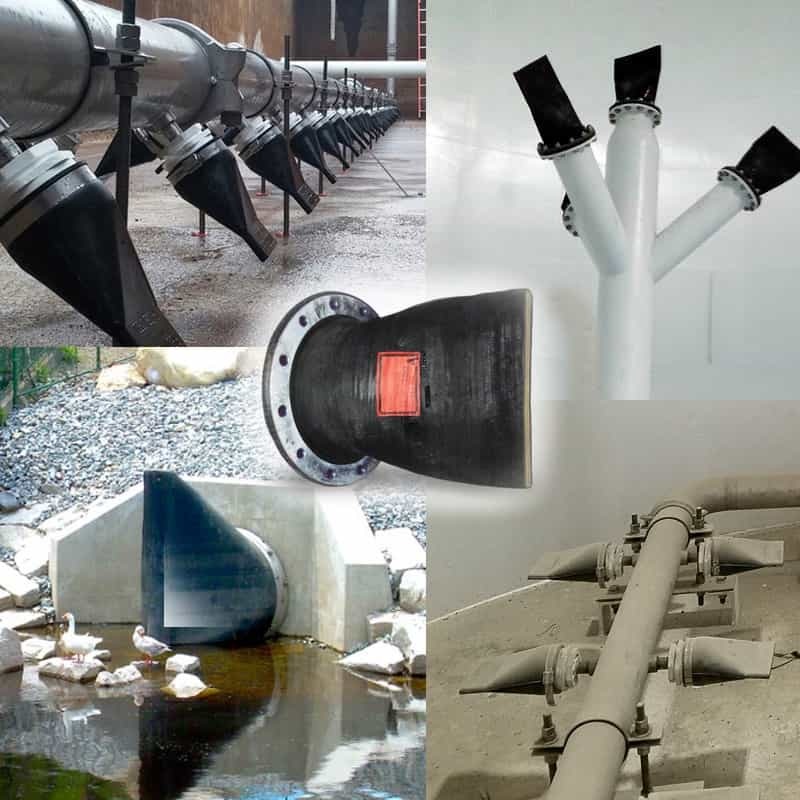 Tideflex Air Diffusers are successfully applied in municipal and industrial aeration applications. Tideflex Mixing System (TMS): Improves water quality in distribution reservoirs, eliminates short-circuiting, enhanced jet velocity, improves mixing, optimizes inlet/outlet designs.